When the hot summer sun is beating down, a walk along Taylor Creek to the shaded Double Arch Alcove in the cooler, and less crowded, Kolob Canyons area is an excellent choice. The trailhead can be found right off the Kolob Canyons Road halfway between the Kolob Canyons Visitor Center and Lee Pass on the north side of the road. The trail starts out by dropping down to Taylor Creek. You’ll duck in and out of shade as you follow the creek upstream through cottonwoods, juniper, and ponderosa pines. The red rock spires and walls of Kolob Canyons provide a beautiful backdrop to this area. The trail does cross the stream a few times, but you should be able to stay dry during the usual lower water flow. 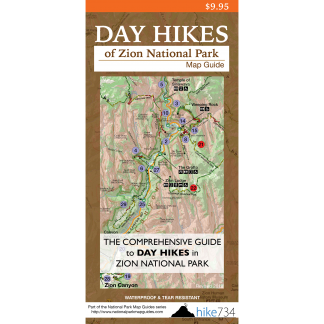 It alternates between packed trail, sand, creek crossings, and the occasional boulder to navigate (although very passable). On your way up the canyon, you’ll come across two old cabins. These humble, one room homes of some of the early settlers give you a window into the history of the area. Like most canyons in this area, the further up you go, the more the vibrant walls close in on you creating fantastic halls with beautifully etched red sandstone. The rock walls provide you more shade and cooler temperatures than the first part of the hike. Birds such as the Canyon Wren, with their descending calls, echo off the walls. 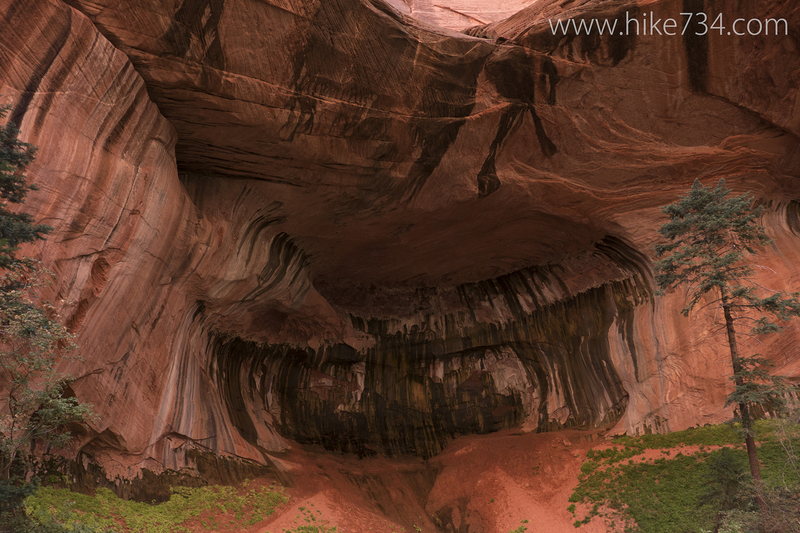 The crown jewel of this hike is the double arch alcove that features two alcoves stacked on top of one another. The upper arch is broad and high above you. The lower arch forms an alcove that is cool in both senses of the word. Please obey the signage and avoid climbing around in the alcove to protect it for the enjoyment of others. Note that the trail continues past the alcove a short distance, ending at a 30 foot chute, and gives a different look at the alcove. After a rest and snack in the shade, head on back down the creek to the trailhead. Trailhead: Take exit 40 between Cedar City and St. George on I-15. Head east past the Kolob Canyons Visitor Center up the Kolob Canyons Road. Take a left into a larger parking lot on the north side of the road. The trailhead is in the northeast corner of the parking lot.